Mr. Osborne Kruythoff. 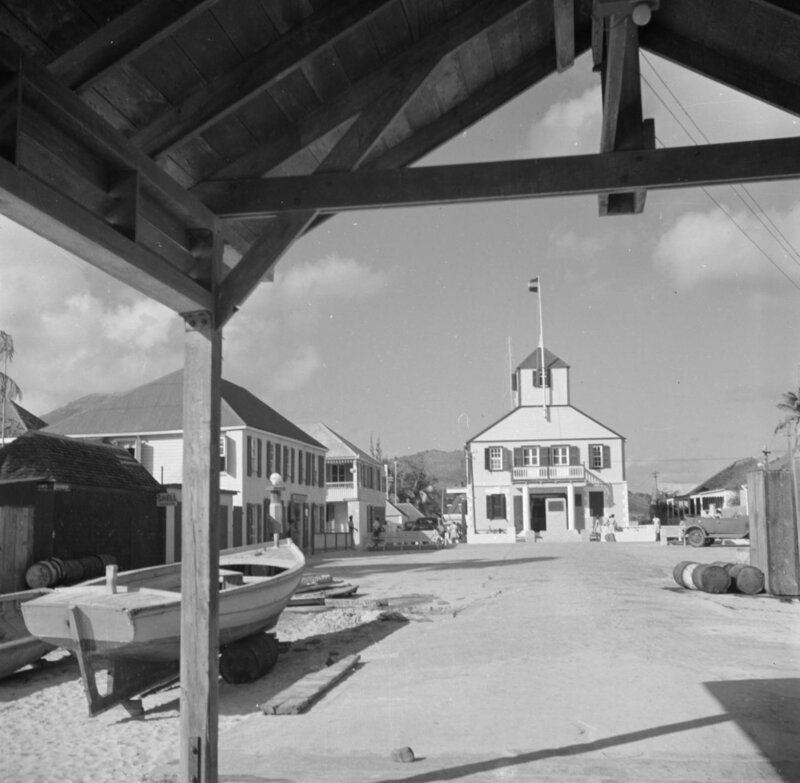 After I wrote this article in my column “Under The Sea Grape Tree” the Government of St. Martin decided to name the rotunda in Cole Bay after him and there is also a statute of him in the rotunda. I would like to believe that someone read my article and then made a decision to do that. A custom of the Roman Catholic Church after confession is for the priest to put an obligation on the confessor. The last time I went to confession my priest put an obligation on me to read Don Quixote de La Mancha by Miguel de Cervantes. Just kidding! I myself felt obliged for whatever which reason to read Don Quixote. All 940 pages of what many Spanish language writers have described as the second greatest book ever written. Just as the Holy Koran is best read in Arabic one is advised to read Don Quixote in the Spanish language. I chose to read the translation in English by J. M. Cohen. This is an acclaimed translation not to be matched by any other. And pray what did I learn from this book? 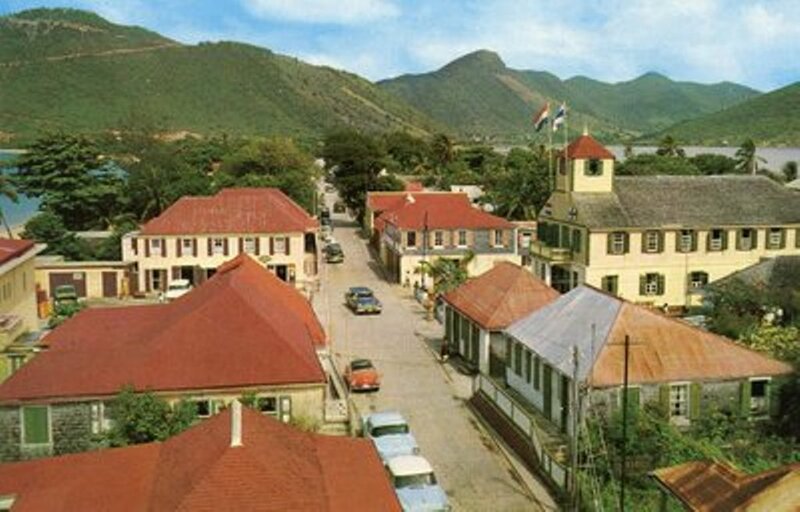 Growing up Mr. Kruythoff did not have much traffic to direct so when cars arrived on the island in their numbers it was such a novelty for him that on his own he took over the traffic on what was then the De Ruyter Square appropriately renamed to the Cyrus Wathey square. I don’t know if many of my readers knew Mr. Osborne Kruythoff of Cole Bay. I am certain that my friend Mike Ferrier knew him. If there ever was a Knight errant on St.Maarten it was Osborne Kruythoff. The more I read of Don Quixote’s adventures the more I remembered Osborne. 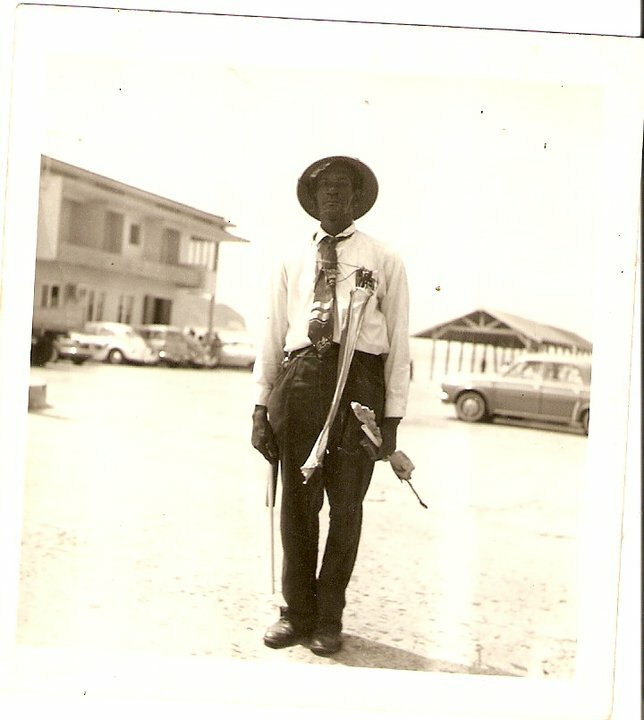 His supposedly real job was to clean up sea-weed on Great Bay Beach whenever such a need arose. This took place very seldom. So at a certain point a unique opportunity presented itself to Osborne to gain fame. 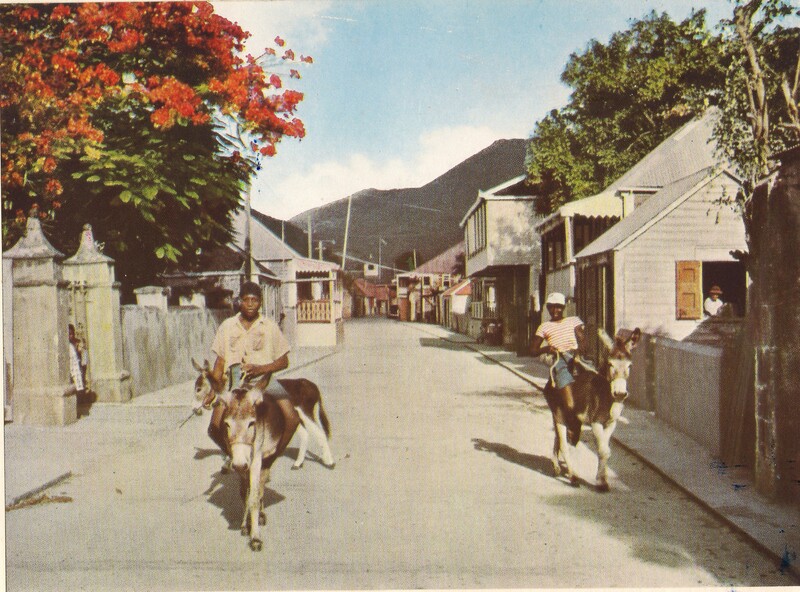 St. Maarten had gone from 83 motor vehicles to some 200 or more in the early nineteen sixties. Osborne,on his own, decided that traffic on the square in front of the Court House needed someone to properly direct it. How he acquired a traffic whistle no one knows. However, Osborne’s whistle became as familiar as a train whistle must have been in former times to those living along the train tracks. Osborne’s outfit consisted of a brown kaki uniform, a white tropical helmet and a machete used as a baton to direct traffic with. A machete on Saba is still called a cutlass, a throw back to our pirate ancestors. If the car did not obey he would give it a good planass, which he must have learned while cutting cane back when in the Dominican Republic. A planass is the art of hitting someone with the flat part of the machete. He started putting flowers in the helmet and in his shirt buttons, so much so that he looked like a walking flower pot and had to push aside the flowers covering his face, in order to get his traffic whistle in his mouth. Naturally he became a spectacle for the few tourists coming to the island. Two tourist women would have him embraced for the picture taking when suddenly Osborne would spot a car coming in the distance, and he would break loose from the embrace scattering the tourists in the process, in order to carry on with his job of directing traffic. I remember when St. Maarten had 83 registered motor vehicles half of them were never on the road and as you can see from this photo there was only a gradual increase until everything took off in the nineteen seventies. The great mistake, which none other than Lt. Governor Japa Beaujon made was to salute Osborne one day, and to also follow his traffic directions. While there was no planass for the Governor’s car, Osborne felt emboldened and became obsessed with directing traffic. Even at night. One night late coming down the hill at Cole Bay, suddenly I heard Osborne’s whistle. He apparently had been hiding in the bushes, waiting on any car foolish enough to wander out into the night. His own transportation was not the ‘Rocinante” of Don Quixote however, but the Dapple of Sancho Panza. He rode to town on an old brown donkey, but it was not up to speed enough to get him on time to the square to direct traffic, so mostly he would walk or hitch a ride. If he was in the back of a truck he would blow the whistle incessantly at every passing car until he reached the square. Although he could not drive himself he was full of advice on how one should handle a car. I was not the best driver and I gave him a lift once and he was shouting ‘Johnson boy don’t let she get away from you etc.’, so that I was relieved when we made it to town and he blew his whistle to get me out of the way so that he could get down to business with the other traffic. Finally he became too enthusiastic and gave a planass to someone’s new car. Police was called and they dragged him down the alley by the Court House to the Police Station. My boss ‘Fons’ O’Connor was among other things also the local Judge. Osborne was screaming his head off for ‘Fons’ to come to his rescue. What a pathetic sight he was. His helmet lay smashed on the ground. The alley was full of flowers on the ground like after a Queens Birthday parade, but the two police officers kept dragging him towards the Police Station kicking and screaming and calling for the Judge. In the end we all convinced ‘Fons’ to go to the rescue at the station. Don Quixote did not surrender easily however. Whether the police liked it or not he continued directing traffic until the number of cars overwhelmed him and he was lost among the crowd along with an entire host of colorful St.Maarten characters. What else did I learn from reading Don Quixote? He advises that one should not discuss rope in the house of a man who has been hanged. I also learned that one should be careful in reading so many books as I do as it is said of Don Quixote that he so buried himself in his books that he spent the nights reading from twilight till daybreak and the days from dawn till dark; and so from little sleep and much reading, his brain dried up and he lost his wit. My boss Joseph Alphonse Constantine O’Connor who held many functions among them Public Prosecutor at one time and Canton Judge at another, here on the right of this photo. I was getting desperate as the end of the book came in sight. I was on a train between Washington and Richmond. Was there anything meaningful in the book? I started to have my doubts. And then I came across the advice which Don Quixote gave to Sancho Panza when the Duke,as a joke, appointed him Governor of a non-existent island. In looking back on my life I perhaps should have read Don Quixote in my youth, but I am pleased to pass on this advice to all those who have been entrusted with governing islands. ‘I give infinite thanks to Heaven, Sancho my friend, that first and foremost, before I strike any good luck myself, prosperity has come out to meet and receive you. I who had staked the payment for your services on my own success find myself at the beginning of my advancement; while you find yourself rewarded with your heart’s desire before your time and contrary to all reasonable expectations. Some bribe, importune, solicit, rise early, entreat, pester, and yet fail to achieve their aims; then there comes another, and without knowing how or why he finds himself with the place and office which many others have sought for. Here the proverb comes in pat, that there is good and bad luck in petitioning’s. You are, in my opinion, most certainly a dullard. Yet without rising early or working late or putting yourself to great pains, with only the breath of knight errantry which ahs touched you, you find yourself without more ado governor of an isle, as if that were nothing. I say all this Sancho, so that you shall not attribute this favour to your own merits, but shall give thanks to God, who disposes things so kindly, and afterwards to the greatness implicit in the profession of knight errantry. ‘ With your heart disposed to believe my words, be attentive, my son, to this your Cato, who will advise you and be the pole-star and guide to direct you and bring you to a safe port, out of this stormy sea in which you are likely to drown. For offices and great places are nothing but a deep gulf of confusion. ‘Firstly, my son, you must fear God; for in fearing Him is wisdom and being wise, you can make no mistake. 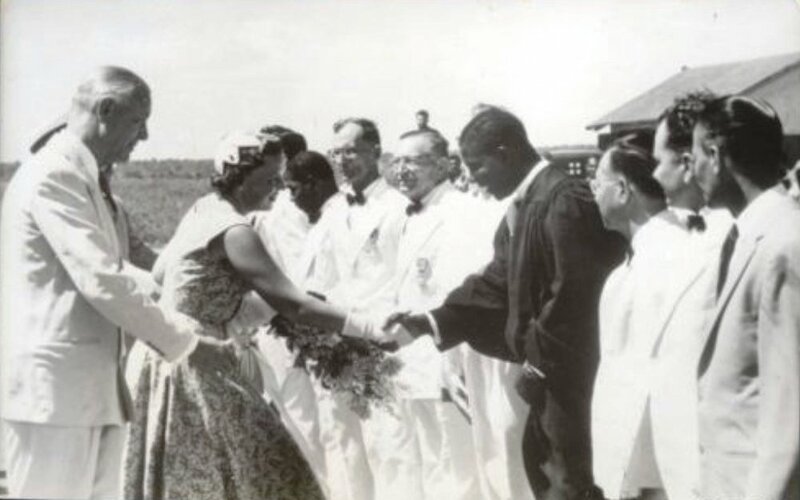 ‘Rejoice, Sancho, in the humbleness of your lineage, and do not think it a disgrace to say you come of peasants; for, seeing that you are not ashamed, no one will attempt to shame you. Consider it more meritorious to be virtuous and poor than noble and a sinner. Innumerable men there are, born of low stock, who have mounted to the highest dignities, pontifical and imperial; and of this truth I could weary you with examples. Another nice view of the square from which Mr. Osborne Kruythoff for a while reigned supreme directing traffic all the day long, and sometimes in the middle of the night too. ‘Remember, Sancho, that if you take virtue for your means, and pride yourself on performing virtuous deeds, you will have no reason to envy those who were born princes and lords. For, blood is inherited but virtue acquired, and virtue has an intrinsic worth, which blood has not. ‘This being so, if any of your relations should chance to come and visit you when you are in your isle, do not reject them or insult them. On the contrary, you must receive them, make much of them and entertain them. In that way you will please God, who would have no one disdain His creation; and what is more, you will be complying with your duty to the order of nature. ‘ If you should take your wife with you – for it is not right that those engaged in government should be for long without wives of their own – instruct her, indoctrinate her and pare her of her native rudeness; for often everything a wise governor gains is lost and wasted by an ill-mannered and foolish wife. ‘If you should chance to be widowed – a thing which may happen – and wish to make a better match to suit your office, do not choose a wife to serve you as a bait and a fishing-rod and take bribes in her hood; for I tell you truly that whatever a judge’s wife receives her husband will have to account for at the Last Judgment, where he will have to pay fourfold in death for the statutes of which he has taken no account in his lifetime. ‘Never be guided by arbitrary law, which has generally great influence with the ignorant who set up to be clever. ‘Let the poor man’s tears find more compassion in you, but not more justice, than the pleadings of the rich. ‘Try to discover the truth behind the rich man’s promises and gifts, as well as behind the poor man’s sobbings and importunities. ‘Where equity may justly temper the rigour of the law do not pile the whole force of it on to the delinquent; for the rigorous judge has no higher reputation than the merciful. ‘If you should chance to bend the rod of justice, do not let it be with the weight of a bribe, but with that of pity. ‘When you happen to judge the case of some enemy of yours, turn your mind away from your injury and apply it to the truth of the case. ‘Do not let personal passion blind you in another’s case, for most of the errors you make will be irremediable, and if you should find a remedy it will cost you your reputation, or even your fortune. ‘ If a beautiful woman comes to beg you for justice, turn your eyes from her tears and your ears from her groans, and consider the substance of her plea at leisure, if you do not want your reason to be drowned in her sobs and your honour in her sighs. ‘Do not revile with words the man you must punish with deeds, since the pain of the punishment is sufficient for the wretch without adding ill-language. ‘ Consider the culprit who comes before you for judgment as a wretched man, subject to the conditions of our depraved nature, and as far as in you lies without injury to the contrary party, show yourself pitiful and lenient; for although all godlike attributes are equal, mercy is more precious and resplendent in our sight than justice. ‘The instructions I have so far given you are for the embellishment of your soul. Listen now to some which will serve you for the adornment of your body. So far as concerns the government of your person and your house, Sancho, my first charge to you is to be clean, and to pare your nails and not them grow as do some, who are ignorantly persuaded that long nails beautify the hands; as if that excrescence and appendage which they omit to cut were merely nail, whereas it is like the claws of a lizard-catching kestrel – a foul and unsightly object. ‘ Do not go unbelted and loose; for disorderly clothes are the indication of a careless mind, unless this disorderliness and negligence falls under the head of cunning, as it was judged to do in the case of Julius Caesar. ‘Do not eat garlic or onions; for their smell will reveal that you are a peasant. ‘Eat little at dinner and less at supper, for the health of the whole body is forged in the stomach’s smithy. ‘Be temperate in drinking, remembering that excess of wine keeps neither a secret nor a promise. ‘Take care, Sancho, not to chew on both sides of your mouth nor to eruct in anyone’s presence. ‘ Be moderate in your sleeping, for he that does not rise with the sun does not enjoy the day; and remember Sancho, that industry is the mother of good fortune, and slothfulness, its opposite, never yet succeeded in carrying out an honest purpose. ‘To gain the goodwill of the people you govern you must do two things amongst others; the first is to be civil to everyone – and the other, to provide an abundance of the necessities of life, for there is nothing which distresses the hearts of the poor more than hunger and want. ‘ Do not make many laws, but if you make them, try to make good ones and, particularly, see that they are kept and fulfilled; for if laws are not kept they might as well not exist. Besides, they show that though the prince had the wisdom and authority to make them, he had not the courage to see they were observed. And laws which threaten but are not carried out come to be like the log which was king of the frogs. He frightened them at first; but in time they despised him and climbed upon his back. ‘ Do not show yourself greedy – or given to women or gluttony, for if the people and such as have dealings with you discover your dominant inclination they will open battery-fire on you in that quarter, until they bring you down to the depths of perdition. Sancho concluded after this advice that he would rather go to Heaven plain Sancho than to Hell a Governor. At the end of the book Don Qixote decided not to go to Saragossa and his reasons were:’ Instead I went openly to Barcelona, the treasure house of courtesy, the refuge of strangers, the hospital of the poor, the country of the valiant, the avenger of the injured, and the abode of firm and reciprocal friendships, unique in its position and its beauty. I too am headed for Barcelona, and on November 29th, like Columbus, I will head out on a voyage of discovery to places already known and will end my cruise at St.Maarten after having cruised the coast of Africa and visited the islands which Columbus visited before setting out into the great unknown.